Check for rebates and incentives in your area. In addition to the US Federal "Alternative Fuel Infrastructure Tax Credit" which can save you some money on your home EVSE, you should check the US Government's nice database of incentives (http://www.dsireusa.org/ ) to see if there are other opportunities. Ecotality, Coulomb and many utilities have programs/incentives in place that can pay for the hardware and possibly the installation of your home EVSE. Buy it as an installed option when you purchase your car. Nissan (AeroVironment), GM (SPX), and Fisker (EVConnect) are just a few car companies that have made installing a charging station very simple for the new owner...you just click a box and someone will be calling you for an installation time. You'll pay a bit more for this simplicity, but you get a lot for it...especially if don't have the time to find a qualified/trained electrician that knows how/where to install these new devices. Buy the device directly from the manufacturer. Companies like Leviton and SPX sell their EVSE products right on their website at full retail prices. Then you can install it yourself (if you're up for the challenge) or have an electrician install it. Buy the device online or at a store near you...like Best Buy, Home Depot or Lowes. There are many places selling residential EVSE today and some stores, like Best Buy are trialing an installation service. Buy it through your local electrician...and have it installed. Your local electrician can order the EVSE at reseller prices and install it for you...giving you a package deal. Submit for your Tax Credit and/or state rebates. After your EVSE is installed, remember to submit the paperwork to claim your rebate. If you live in a condo or apartment, your first step is talking with your property manager to see how they want to support EVs...and chances are, you'll have to school them about EVs...especially about how much EV's cost to charge. 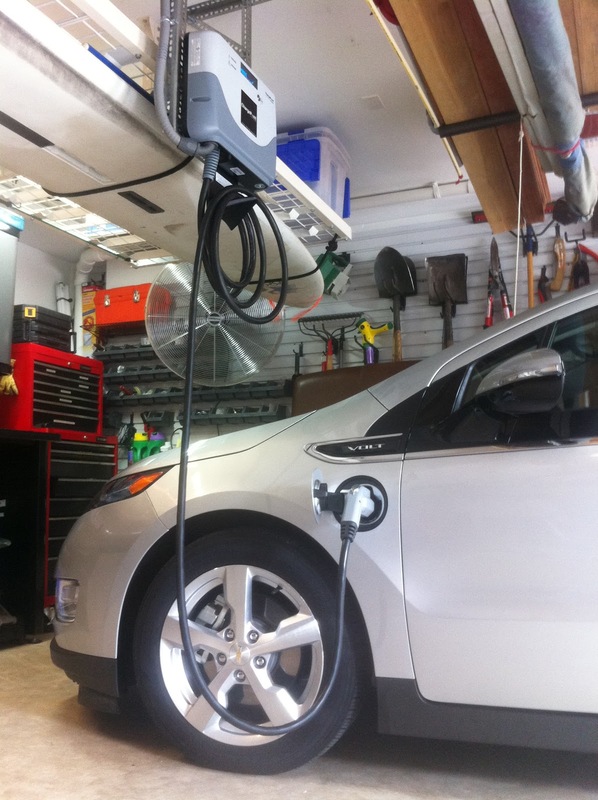 Got an interesting EVSE installation you've seen or installed? Send me a picture along with some details for the caption and I'll add it to the collection. You can get my email address from the About Tab above. Given this blog is viewed by many in other countries, I'd like to see your installations too.